Create a new family tradition...give “local” gifts! Create a new family tradition…give “local” gifts! Christmas has become a time of year that mostly benefits overseas manufacturers and large retail chains. As the holidays approach, with a little thought and creativity, we can all choose wonderful gifts for family and friends in a way that makes our own community more prosperous. Who on your list might appreciate a Gift Certificate from a local hair salon, massage therapist or day spa? The gift of pampering is always welcome. A Gym membership is a great gift for anyone thinking about fitness, weight loss or health improvement. For someone on your list, a Gift Certificate for few rounds of golf at a local course will be the perfect gift. Your ‘artsy’ friends would love tickets to a play or musical performance at a local venue or, perhaps a watercolor painting by a local artist. Local crafts people spin their own wool and knit them into scarves. 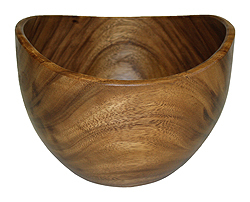 They make jewelry, and pottery and beautiful wooden bowls. So many wonderful possibilities. For the more practical folks on your list, what about a coupon to get their car detailed, their snow plowed, or their grass cut? Or, maybe their computer cleaned up and debugged? Most folks love to eat out. There are lots of owner-run local restaurants…all offering Gift Certificates. Tins or baskets of cookies from a local bakery make a most welcome hostess gift. Thinking about a great gift for Mom? She’d probably love the services of a local cleaning lady twice a month for the next year…or just for a few visits to clean up after the holidays, if your budget is limited. I’m sure there are lots of other “local” gift ideas that you could come up with…but these 6 will get you started. So, how could you make this a more personal holiday season with local gifts that encourage and support local businesses? Just a thought.